David Kimball is a business litigator who routinely assists both companies and institutions of higher education in resolving complex disputes. He also has experience in a general counsel role, advising colleges and universities concerning compliance with Title IX and other federal laws that can often result in litigation. David's clients benefit from his courtroom experience and practical approach to resolving disputes. 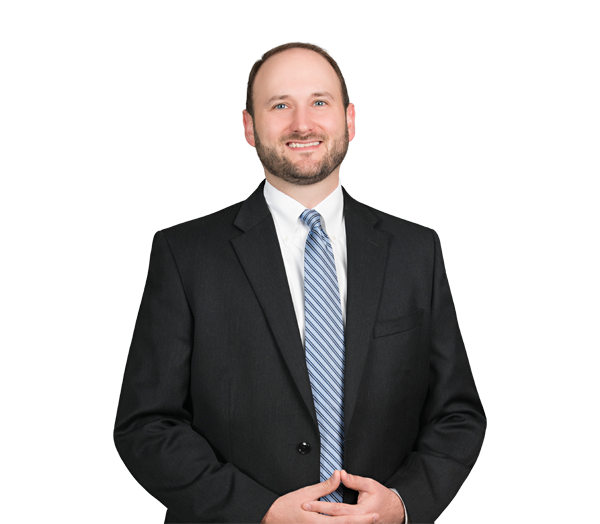 He frequently appears before state and federal courts in both North and South Carolina, and he routinely advises clients in the pre-litigation phases of disputes – where cases are often won or lost before they begin. David also has experience with all forms of alternative dispute resolution, including mediation and arbitration. Advises university concerning issues involving allegations of student and faculty sexual misconduct, for compliance with Title IX and related statutes and regulations. Advises university concerning revisions to sexual misconduct policy and disciplinary proceedings to comply with Department of Education guidance. Advises university concerning student academic integrity violations and academic integrity policy. Counsels university concerning compliance with HIPAA and FERPA in the context of third-party requests for information. Provides general counsel to university concerning a variety of disciplinary issues involving students. Represents university in insurance coverage dispute concerning coverage under student athletics insurance policy. Assists large regional and national developers with drafting of form construction contracts and contracts for specific projects. Prosecutes claims of major Charlotte-based developer against national contractor for improper overcharges by contractor. Files and arbitrates owner's liquidated damages claims for delayed completion of industrial manufacturing facility by design-builder. Defends builder of high-rise condos against defect claims brought by developer regarding alleged water penetration and failure of balconies. Assists large regional energy company with resolution of design defect claims against supplier of once-through steam generators to nuclear power facility. Defends builder of high-rise condos against defect claims brought by developer regarding HVAC system and negative pressure allegedly resulting in mold infiltration. Defends large regional builder in complaint filed with licensing board in relation to alleged defects and contractor's purported failure to correct the same. Defends global chemical manufacturer in pricing dispute with customer. Represents local utility in dispute with national telecom provider over utility pole attachment rates. Represents plumbing materials manufacturer, successfully arguing that products liability statute of repose barred claims against manufacturer.